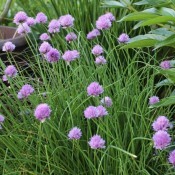 Chives grow well in containers or in gardens as a pretty border plant. 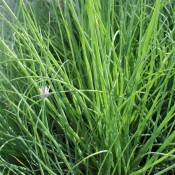 They have tall, green, grasslike leaves with purple pom-pom flowers. 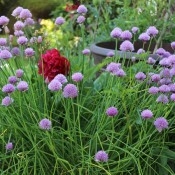 Harvest continuously from early summer until frost. 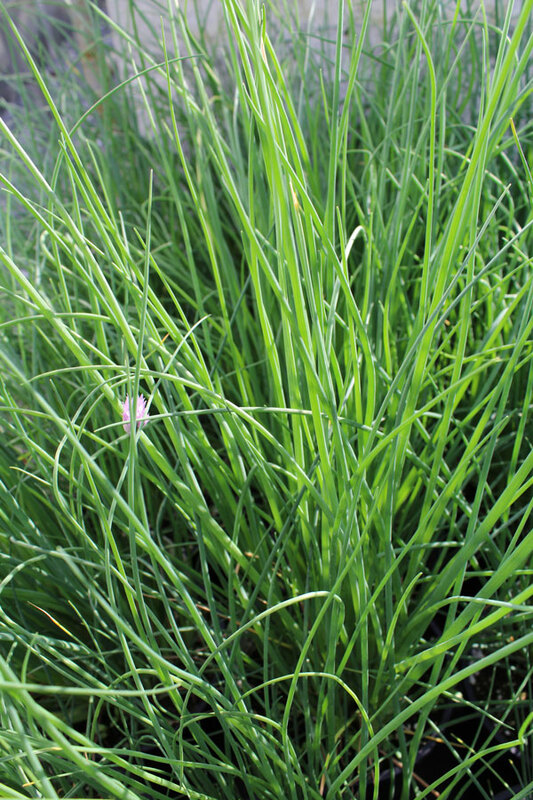 Finely chopped tops of this versatile kitchen herb adds a delicious mild onion flavour to almost any recipe. 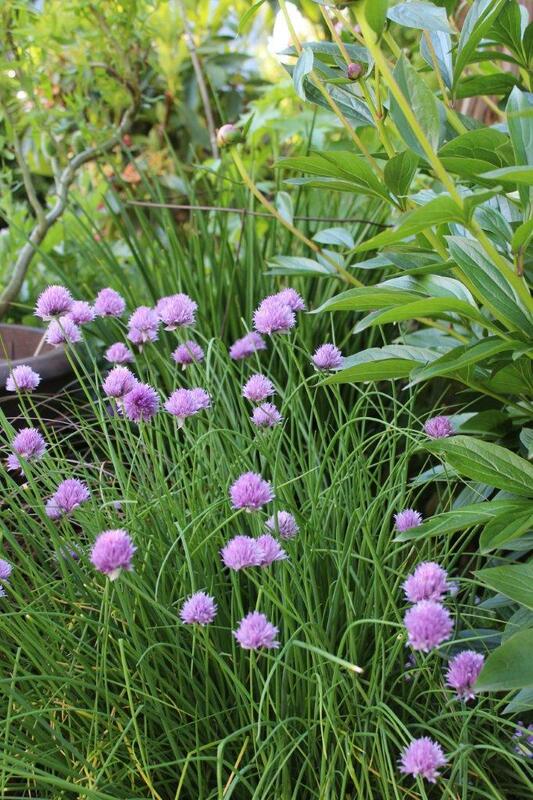 Chives are great companion plants to tomatoes, beets, roses, and apple trees. 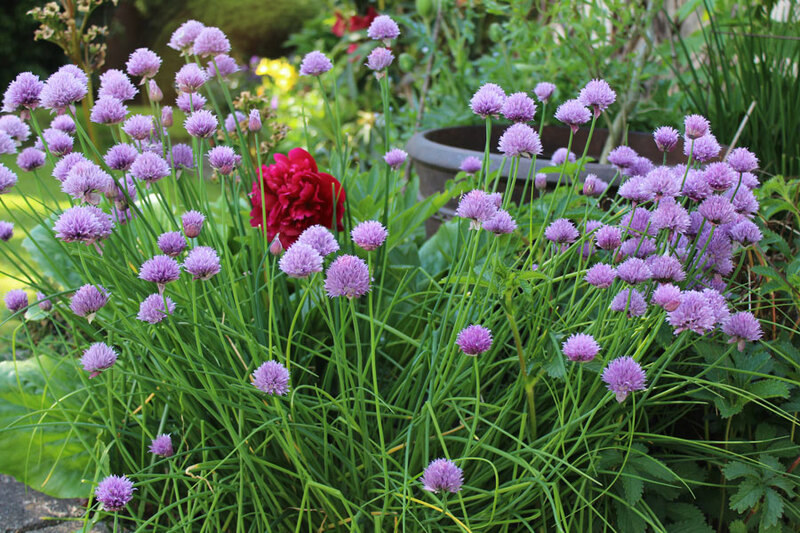 Do not plant with peas, beans, parsley, or asparagus. Rich, fertile, and well draining. Balanced at time of planting.